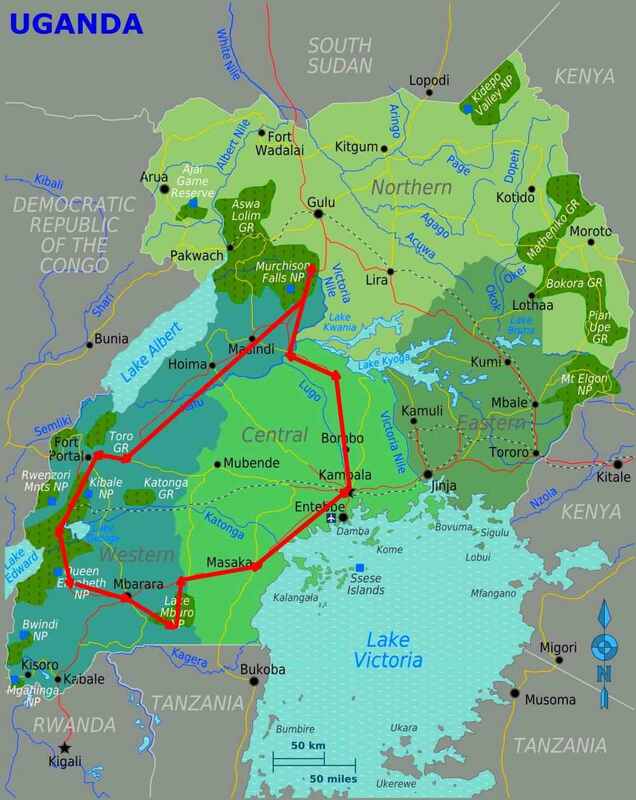 Lake Mburo National Park Facts: With its 37,000 ha, at an elevation varying between 1,220m - 1,828m above sea level, Lake Mburo National Park, the smallest park of Uganda is easily accessible by the Mbarara- Masaka highway from Kampala (location 240 km, 3,5 hrs) to the western parks. And yet, it is an extremely rich park due to the dry and rocky environment in the west and the wetlands in the eastern part. 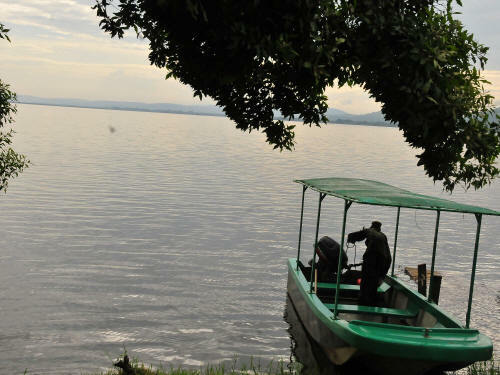 Some 50 km of creeks and canals, connect 13 lakes in the area, 5 of which lie within the boundaries of the park, with Lake Mburo being the largest. The park can be accessed through the Nshara gate and the Sanga gate from Mbarara. Through the Nshara gate it is about forty eight kilometers, when coming from Kampala, the Sanga gate is twelve kilometers. 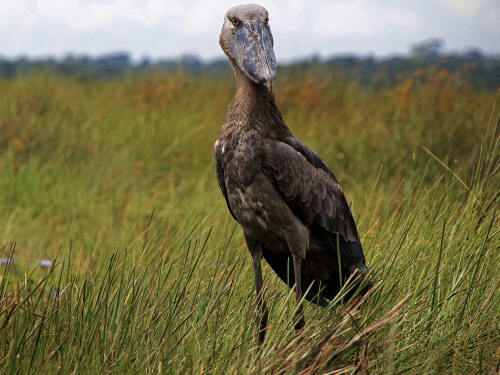 It’s one of the best place in Uganda where one can the animals very closely on nature guided walks and horse riding safaris apart from game viewing in a vehicle. 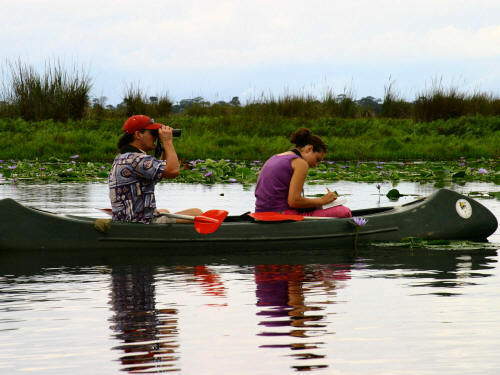 Lake Mburo National Park has quite a variation in landscapes, like rolling hills, golden Savannah’s, ancient rocks, forests and swamps as well of course 5 lakes, with the largest lake within the park boundaries being Lake Mburo and another 14 lakes surrounding the park. The savannas in the west are traversed by rocky ridges and forested gorges. While the savannahs were much more open in the past, large parts are now covered by shrubs and low forest, due to the absence of elephants and to insufficient prescribed burning management to keep the forest growth under control. 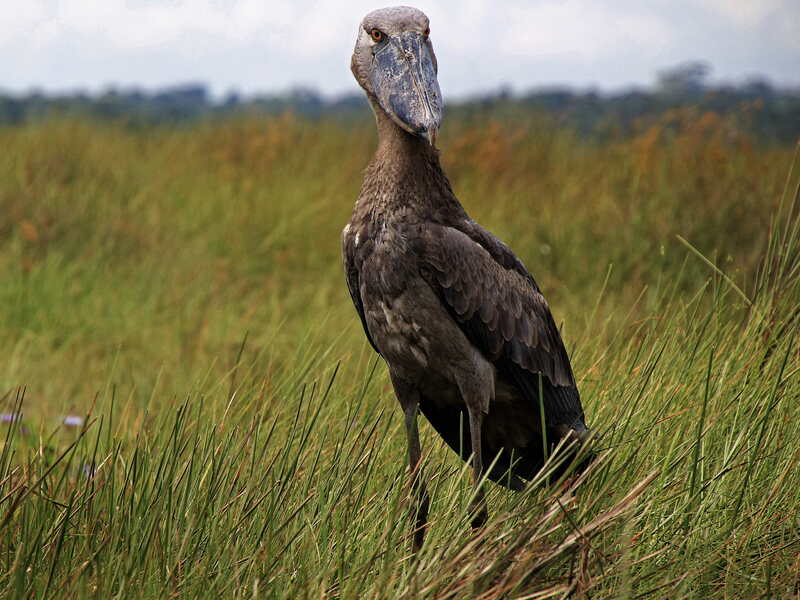 The eastern wetlands make up 20% of the park's surface; along the lakes and the creeks in the East, patches of papyrus and riparian shrubs line the open water. A small patch of full-grown tropical forest on the western side of Lake Mburo gives an impression of semi-humid tropical high forest with a closed canopy which can be seen up-close from a viewing platform. While hunting and farming had almost totally eliminated wildlife in the past, it has now made a remarkable recovery. Large herds of Eland and Cape Buffaloes roam the Western park. It is the only park where Impala can be found and one of the three parks with Burchell's Zebra. Common savannah species are Oribi, Defassa Waterbuck, Topi, Common ?Duiker and Bofor Reedbuck. 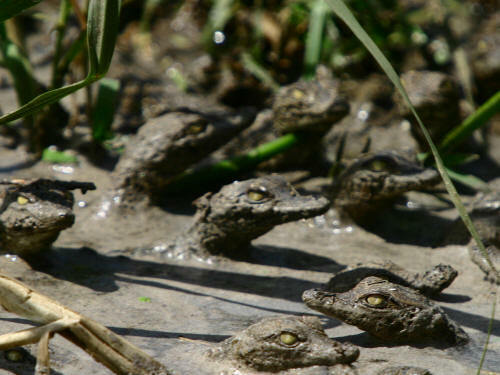 The top predators are the Leopard and Spotted Hyena; midsize predators include the Side-striped Jackal and various smaller predators like the white-tailed mongoose. Only 2 species of monkeys are present in the park: the Vervet Monkey and Olive Baboon. 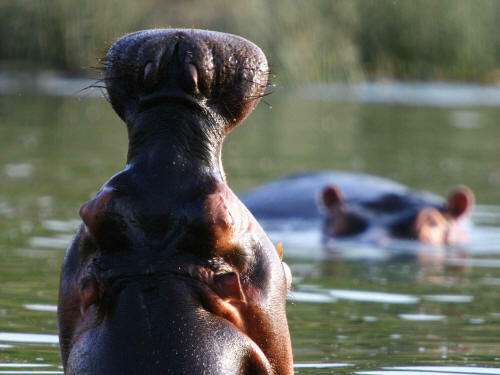 The park's wetlands are inhabited by Cape Buffaloes, Warthog, Bush-pig, Hippos and Sitatunga Gazelles; aquatic predators include the mighty African Crocodile and three species of Otters. 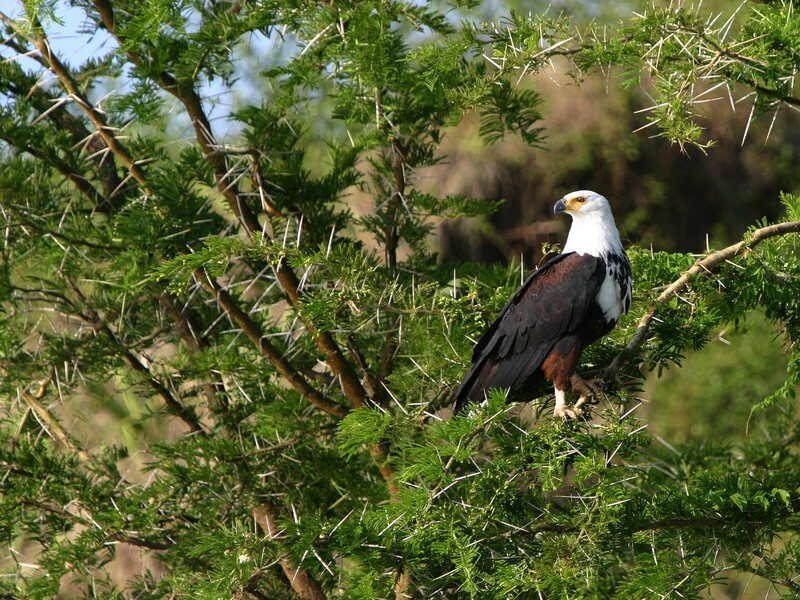 With 350+ recorded bird species, the park also is a paradise for birdwatching. 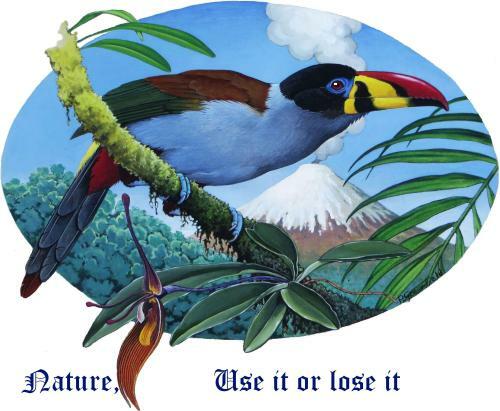 Forest and savannah birds include the Green Pigeon, Harrier Hawk, Grey-backed Cameroptera and Double-toothed Barbet, Narina Trogon. 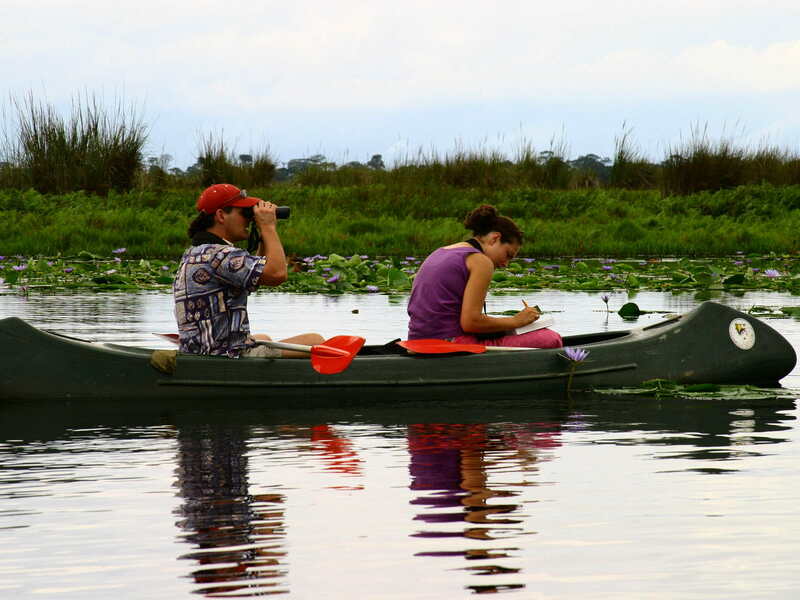 On our Uganda National Parks Safari we will take you on a fantastic boat excursion through the wetlands of the park. You will see many Kingfishers, several African Fish Eagles, Hammerkops and their enormous nests, arabou storks, Narina trogons and with some luck even the odd-looking Shoebill or even the elusive African finfoot, which likes to hang out in still waters under low hanging branches. 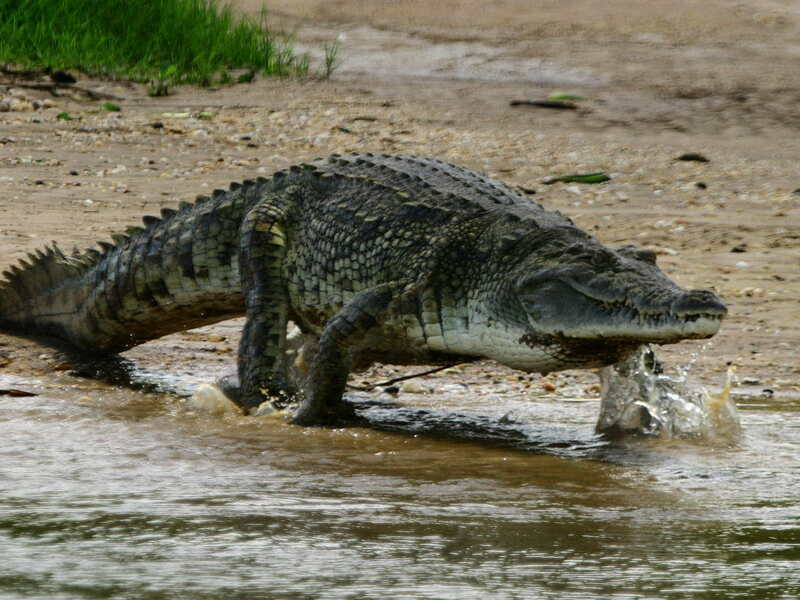 African crocodile running back to the water. Baby crocodiles in a mud pool during the dry season. 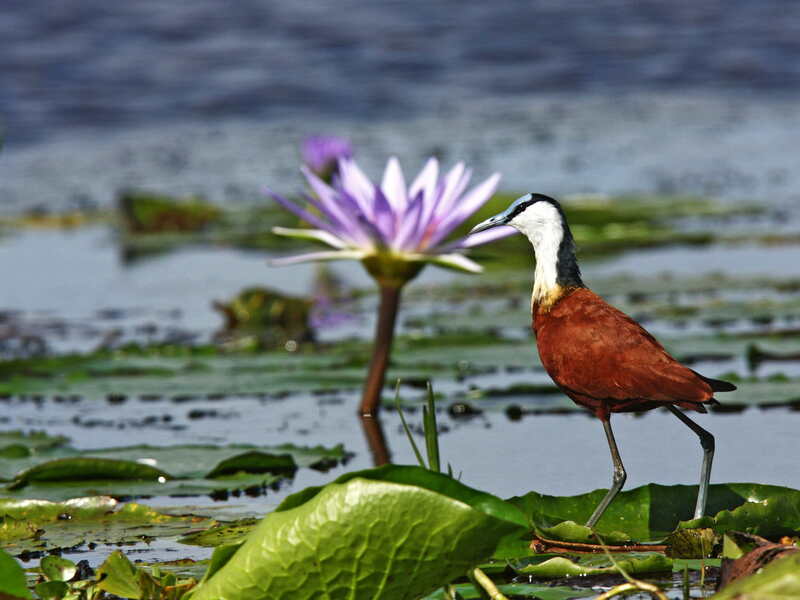 African Jacana hopping on waterlily leaves. Boat below the Murchison Falls. 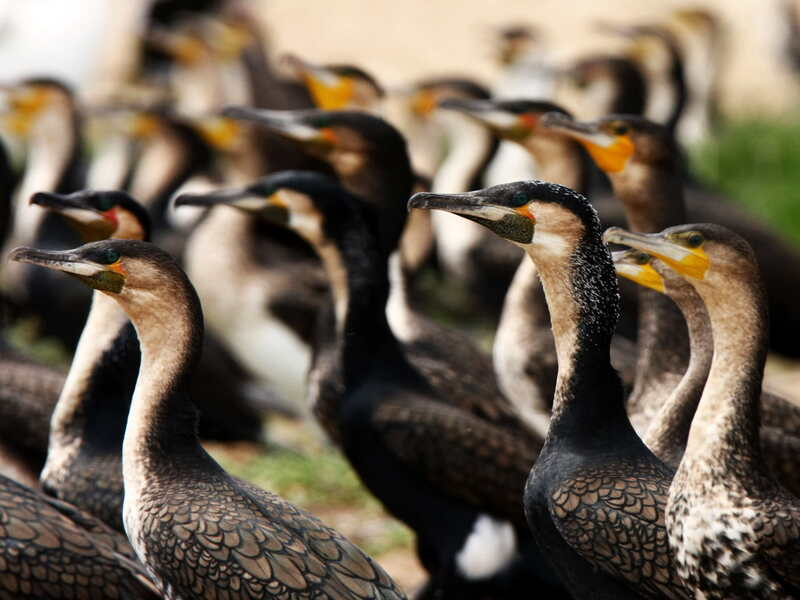 Great Cormorants drying after fishing. Pink Backed Pelicans and Cape Buffalos in the background. Excursion boat on Lake Mburo. Special birding trip in the marshes of Lake Mburo National Park Facts.